The arrival of fall brings cool new back-to-school clothes, the return of football and hockey and beautiful chameleon leaves. 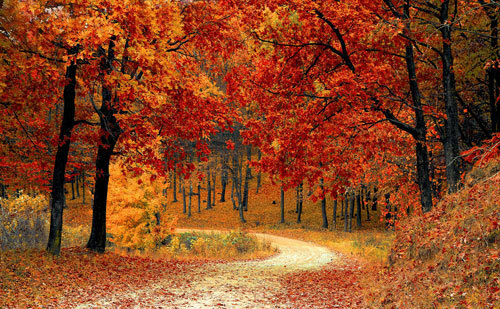 Are trees as fashion conscious as the celebs or is there more to this color change? Kidzworld finds out! Photosynthesis is the process of turning light energy into chemical energy by storing it as sugar. During the spring and summer, trees can make plenty of food because of the long hours of daylight. 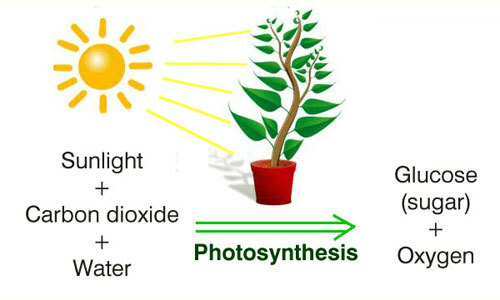 The process of photosynthesis takes place in the chloroplasts (food making centers), specifically using chlorophyll (the green pigment involved in photosynthesis). During winter, there's not enough water or light for photosynthesis to take place. The trees have to live off the food they stored during the summer. The food-making factories start shutting down and the green chlorophyll disappears from the leaves. When the bright green fades away, the yellow and orange colors - that have always been underneath - begin to show. They've been there all along they've just been covered up by the green chlorophyll. Eventually even those colors fade and the brown leaves start to drop off. Autumn Leaves - Did U Know? 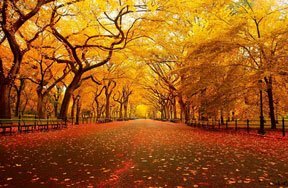 The best places to see vibrant autumn leaves are in the eastern United States and in southeastern Canada. Trees first appeared on Earth long before the dinosaurs did - about 400 million years ago. 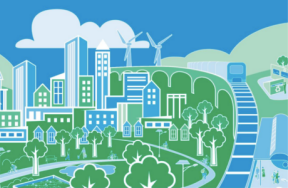 Trees combat the greenhouse effect and slow the effects of global warming. They soak up carbon dioxide and exhale oxygen for us to breath. Who has a favorite color leaf?